days we had gorgeous weather and managed to enjoy a whole host of activities. 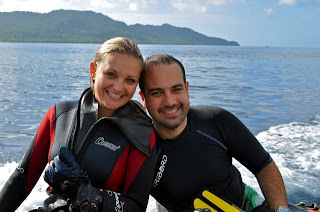 For many of the guests it was a chance to try something new - be it scuba diving ( Congratlations Ayesha and Max! 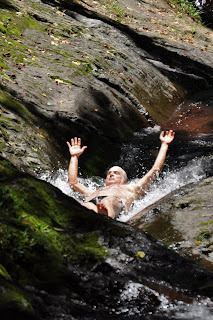 ), jumping off/sliding down a waterfall or hiking a volcanic crater. When a hurricane warning altered our plans we decamped to a secluded beach and played volleyball, golf and a lot of us learned to paddleboard (John turned out to have a great sense of balance). The divers were lucky enough to see a Manta Ray on the White Wall - something none of us will forget. In the evenings we were fully entertained by Matt singing and playing guitar, and Steve showing us a whole new style of dancing. Bob showed us how watersliding was done and the honeymooners Kurt and Susan pursued their mission of finding heart-shaped seashells and coral at every opportunity. The Tui Tai is all about adventure, so whether it's already in your blood or you'd like to unleash your inner action-man/woman, come onboard and immerse yourself in a whole host of new experiences. This week we had some great island visits, with some pilot whales making an appearance on our way to the first one, which was the island of Rabi, where we were entertained by the school children. These islanders are originally from Kiribati, but after their island was devastated in World War II and phosphate mining, the British relocated them on Rabi, which is a volcanic island in northern Fiji.Their costumes are stunning and everyone was enthralled by the dancing and their warm hospitality - especially by one little boy who really got into character and left us all with a big smile on our faces! We next went to Wiwi village in the island of Taveuni, and the guests had a fantastic time joining in the fun by showing them how dancing is done in England! 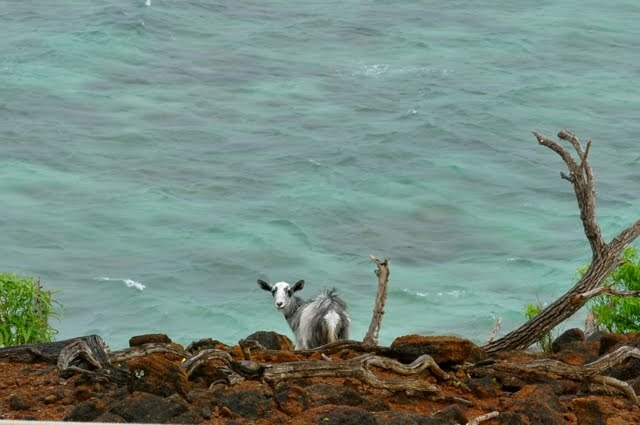 Hiking on Cobia Island, which is a sunken volcanic crater in the Ringgold atoll, we managed to find some of the wild goats which are the only inhabitants of the island! They are very wary of humans though so we were lucky to spot a few and even get a rare photograph. 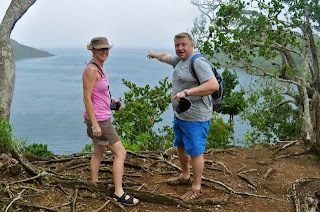 Not put off by a bit of "liquid sunshine" we enjoyed the stunning views once reaching the top - and one guest commented that the opportunity to do this hike had inspired her to book the trip! This week was not only special because it was the end of the year, we also had 2 couples feeling the romance of Fiji and the Tui Tai with a wedding and a proposal! 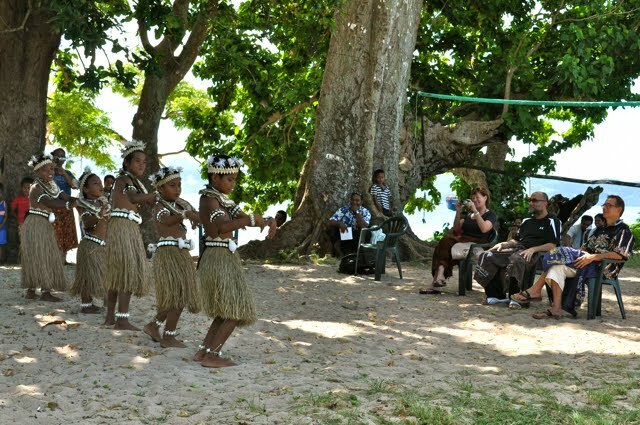 One couple decided they wanted to get married on the beautiful island of Kioa, which Tui Tai promptly arranged, and a fantastic day was had by all, followed by their singing ceremony, or fatele. 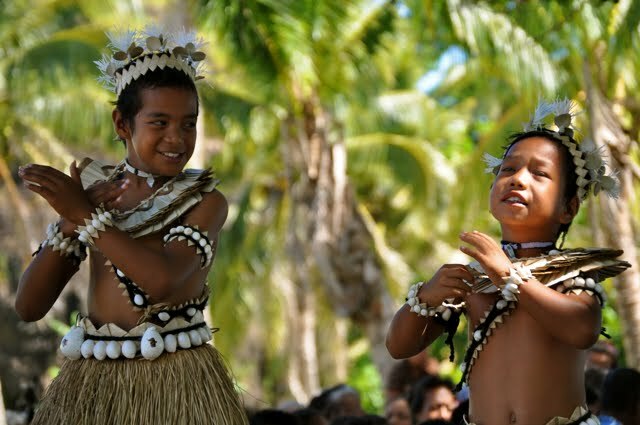 The residents of Kioa were originally from the Polynesian island of Tuvalu, but due to rising sea levels they needed to relocate and have now been here for over seventy years. 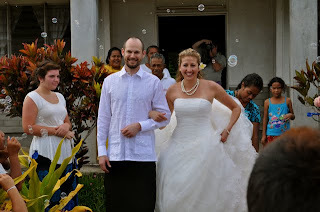 They have kept their traditions alive and it made for some spectacular photos with an American style wedding dress set amongst a Polynesian/Fijian backdrop. Another guest decided that he would propose to his girlfriend - not so unusual in Fiji - but what made it special is that he did it underwater! He had brought the rings with him and carefully arranged it with the crew beforehand so that everything went according to plan - the question (and answer!) was written on an underwater slate - she accepted thankfully and now Fiji and the Tui Tai will always hold a special place in their hearts. With the end of the year comes the start of a new one - Happy New Year to all past and future Tui Tai guests!